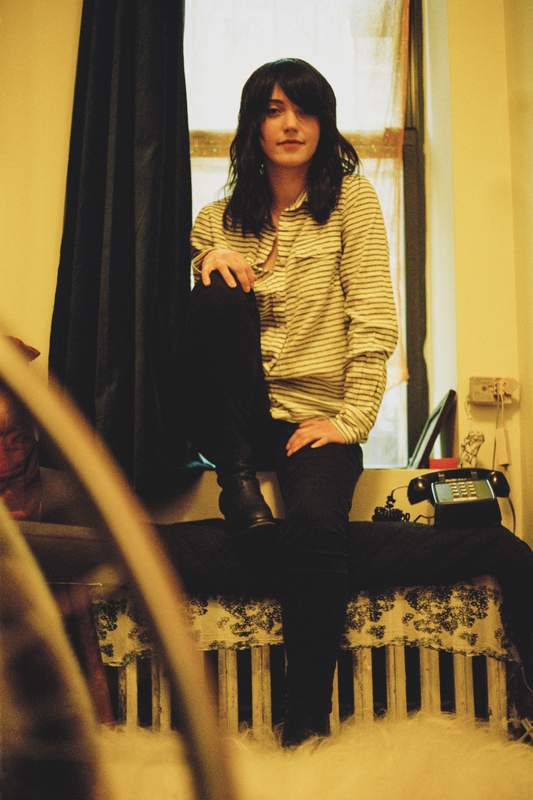 Sharon Van Etten asks: Are We There? | Will You Miss Me When I'm Gone? Starting with Epic in 2010, Sharon fleshed out her recorded sound with a full band — a natural step for an artist who’s gained fans and, presumably, can afford to experiment and flex her muscles. But that took her into a production groove that rang false to my ear. Sharon quickly became someone I much preferred to hear live, even though I treasured Epic as an important piece of her art. Her third album, Tramp — which Pitchfork called “career-making” — , added more effects and stuck me as utterly hijacked by producer Aaron Dessner of The National — an admittedly brilliant musician from Sharon’s big circle of Brooklyn friends. I’ve never been happy with recordings that bury Sharon’s voice — one of the most surprisingly beautiful instruments in music today, and that’s what I felt Tramp‘s production did. I loved the songs, and I enjoyed the album for what it was. But, at least to me, Tramp didn’t really tap the truth of Sharon as an artist. It struck me as someone else’s impression of who she was at that moment in time. On Are We There, Sharon has taken control, producing it herself — with a bit of help from Stewart Lerman, who has a long history with artists such as Willie Nile, the Roches, and the like. Sharon continues with her full-band sound and enhances the sound — including her voice — with technology. But she seems to have gotten things in balance almost perfectly. Her voice, strong but vulnerable, is right in the middle of things, fully present in a way that it wasn’t in Tramp. If anything, her voice has really blossomed on Are We There. At moments, particularly on “Your Love is Killing Me,” she makes me think of Jeff Buckley. It’s not that she sounds like Jeff, but that she evokes some of the raw emotion that Jeff exuded throughout his tragically short career. I was so struck by the evocation that I searched to see if anyone had written about it yet. It turns out that someone writing for CMJ noted “an unusually gruff Van Etten channeling the worn twang of Lucinda Williams,” but didn’t make the direct link to a Williams song. It’s tempting to take Sharon’s work as deeply autobiographical. But the danger there is that you may wind up seeing her as a deeply conflicted, angry, and unhappy person. After all, the songs are full of painfully wrenching, personal lyrics — with wishes for broken legs, burned skin, stolen soul, and stabbed-out eyes included. It would be pretty easy to take them literally and conclude that Sharon is pretty dark. But not so fast. I think it’s dangerous to make that assumption, and I daresay that’s not who Sharon Van Etten is. It’s certainly not the personality she presents onstage or in her interviews, like her this recent, slightly fawning, one with Stereogum. And it’s not the personality I experienced when I met her four or five years ago — when she was doing publicity for Ba-Da-Bing Records. She was a pretty upbeat, totally unpretentious person. That sounds like catharsis to me. This entry was posted in Music, Pop and Rock, Singer-Songwriter and tagged Are We There, Brooklyn, Chart Attack, Jeff Buckley, Lucinda Williams, Sharon Van Etten, Stereogum. Bookmark the permalink.